Ramón García is the author of Ricardo Valverde and has Masters and Ph.D.degrees in Literature from the University of California, San Diego. Currently a professor at California State Univeristy Northridge, his research focuses on visual culture and literary studies. 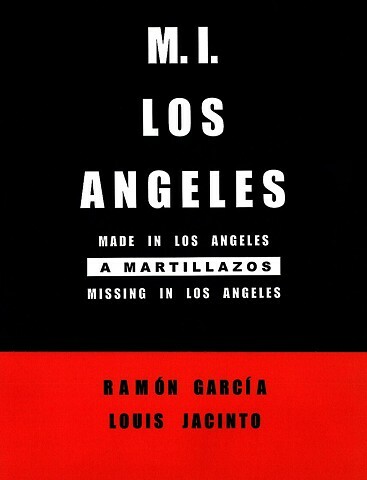 García is also a poet with a collection titled Other Countries (What Books Press, 2010) and work featured in Best American Poetry 1996, Ambit, Poetry Salzburg Review, Los Angeles Review, Mandorla: New Writing from the Americas, The Americas Review, The Floating Borderlands: Twenty-Five Years of U.S.-Hispanic Literature, Margie: The American Journal of Poetry, Crab Orchard Review, and Borderlands: The Texas Poetry Review. Since the early 1970’s, Louis Jacinto’s photographic work has focused on the city’s social diversity, without ever defaulting to facile multiculturalism or stereotypes. He has consistently represented what is considered marginal in “minority” communities, and his critical stance remains refreshing and innovative because he is an artist who does not do the expected or the familiar. He has chronicled the punk scene, the Latino art community (especially the work of performance collective Asco) and the queer community in the Echo Park and Silver Lake neighborhoods of Los Angeles. His work has never been purely documentary, however, and in its formal experiments it belongs to what photography critic Jerry Badger has termed a “Los Angeles School” of photography. He has published several books of his photographs including PUNKROCK LOSANGELES, Edge of the World: Self-Portraits 1976 – 2007, Angela, Patti Smith ’78, The Beatles in Los Angeles and others.